Mimi talks. A lot. About herself, about her trips, and about her grandchildren. She talks about the cashier at the grocery store who had surgery last month and now is having some pain in her side. It’s all harmless chatter, but staff roll their eyes and avoid Mimi when she volunteers. They don’t want to be around her. They don’t really like her. But Mimi does her work well. She inputs survey results accurately and efficiently. She’s dependable. She’s smart, and because she’s smart, she sees staff embracing other volunteers, and she wonders why staff seems to avoid her. After all, it’s about doing good work, isn’t it? All volunteer managers face the challenge of a capable volunteer who is not liked by staff. Staff scatters when this volunteer arrives. Staff tries not to interact with this volunteer but warmly welcomes other volunteers they like. Often the situation is no more than staff reluctantly putting up with the disliked volunteer. Staff may knowingly smile and say, “well, that’s just the nature of working with volunteers,” or may grumble to you in private. 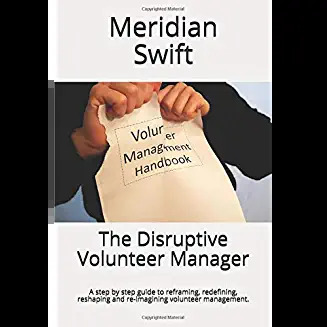 Or they may request that you not call “volunteer Harvey, the one who complains a lot.” And sometimes, staff can push back and isolate the volunteer, lobby to get rid of the volunteer or find faults where none exist. It begs these questions: What effect does a volunteer’s behavior and attitude have on their role? Is it different from employees’ roles? And, how far does this behavior scope reach? We’ve all had to work with a fellow employee we dislike. But because that employee was on the payroll, we were forced to figure out how to work with him/her. We couldn’t just say, “hey, I don’t like Chenelle, so I’m not dealing with her.” Nope, Chenelle was going to be there, day in and day out so we were left to find a way to work with one another. Figuring out a way to work alongside fellow employees is expected behavior. It’s different with volunteers. Volunteers are free to come and go and they’re not volunteering 40 hours a week. (if they are, that’s a whole separate bucket of trouble) They can quit, or take a leave of absence at any time. We, volunteer managers make this fact clear so we can advocate for good volunteer treatment as a retention strategy. The plea that staff must accept volunteers, work with them and make their experience pleasant makes little sense to them when paired with the idea that volunteers are temporary or fleeting or unfettered by paid positions. The reality is, a staff member is stuck having to get along with a fellow annoying staff member. They’re not so stuck getting along with an annoying volunteer. What does your organizational policy say about working with volunteers? Does it mirror policy on working with fellow staff? Most likely it does not. Maybe it says something broad like staff will respect volunteer help. It probably doesn’t make clear that staff will be held responsible for retaining volunteers. 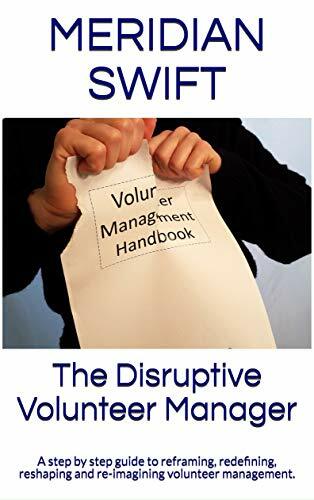 And so, disliked volunteers can and will be treated as a temporary nuisance because figuring out a way to work alonside volunteers is not expected behavior. Expected behavior is on the volunteer manager, who is expected to provide volunteers that don’t require any extra work from staff. Where does that leave us then? Back to recruiting volunteers over and over because personalities are intertwined with volunteer success and we must find “non-annoying” volunteers? We can rant all we want about the unfairness of treating volunteers differently from staff, but we have to remember that we highlight volunteer uniqueness by reminding staff that volunteers are with us by choice. It’s a conundrum, one worth exploring later, but we need to deal with individual scenarios now. So what to do? This is an area in which volunteer managers will utilize every mediation skill they possess. It can be as draining and nuanced as trying to make the haughty family cat “like” your grabby 4 year old niece. Maybe you cringe too, when this volunteer arrives. Maybe you find yourself checking your watch when this volunteer is talking to you. Maybe you find it difficult to “sell” or defend this volunteer to staff. But what if this volunteer does a really good job? What if they have mad skills or knowledge and potential? How do we mediate behavior so staff will respectfully work with this volunteer? Behaviors are concrete actions and therefore much easier to identify, pinpoint and address than attitudes. A volunteer’s attitude is inferred by his/her behavior. A volunteer who talks too much or jokes or complains may appear to think that staff time is not valuable or the work is not important. A volunteer who makes patronizing comments can be seen as someone who is arrogant and condescending. A volunteer who shares personal issues will appear to be “needy” and self-involved. These perceived attitudes make the volunteer unlikable. And that’s where we come in with all of our nuanced mediation skills. How do you deal with a disliked volunteer? Next time: Part 2, a success story and the volunteer manager toolbox. Excellent article Meridian. We pussyfoot around way too much not really knowing how to deal with volunteers that ‘annoy’ us – mediation skilks it is! Thanks! I agree 100%. There’s so much mediation in volunteer management, I remember days when I just wanted to crawl under some cozy covers and make it all go away. I think mediation is one of those grinding skills we have that never get enough recognition, especially since volunteer managers do mediation so well.